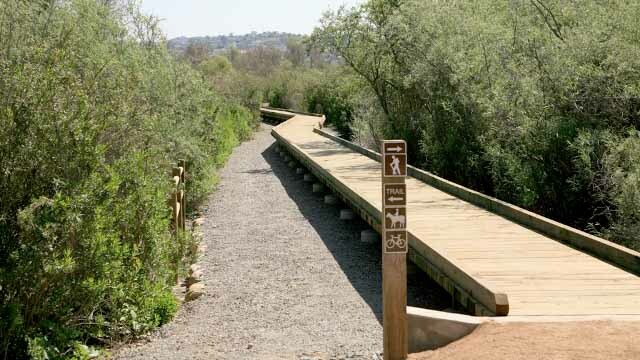 Officials from Surfrider Foundation San Diego and other environmental advocacy groups called on the San Diego County Board of Supervisors Tuesday to postpone construction of a campground at the Tijuana River Valley Regional Park. Supervisors allocated $4 million for the campground in the recently passed budget for the new fiscal year, but activists claim continuous sewage spills from the nearby Tijuana River pose health risks for potential visitors. Bethany Case with the Surfrider Foundation and co-founder of the South Bay Clean Water Movement, told ABC10 the park isn’t yet suitable for further development. According to Surfrider, the closest beach to the proposed campground, the Tijuana Slough Shoreline, closed for 167 days in 2017 due to poor water quality related to sewage flows that have plagued South Bay waterways for decades. The beach has closed 64 days so far this year. Case was joined at a news conference Tuesday by members of Citizens Against Sewage, San Diego County Democrats for Environmental Action and the National Border Patrol Council, as well as former Assemblyman Nathan Fletcher, who is running for a District 4 supervisor seat that includes much of the city of San Diego. Fletcher said the benefits of outdoor recreation in the Tijuana River Valley are negated by its condition. He called on county officials to better protect the area’s natural resources. Campground construction is expected to begin in summer 2019. Supervisor Greg Cox has long advocated for construction of the Tijuana River Valley campground. In a statement to ABC10, he said county staff are conducting an environmental review of the site, and will seek a new location if it isn’t deemed suitable. In May, the Surfrider Foundation filed a 60-day notice of intent to sue the International Boundary and Water Commission, a binational agency charged with overseeing efforts to stem ongoing pollution. The foundation argued the commission hasn’t done enough to address water infrastructure that has allowed millions of gallons of sewage to flow into the United States.